Check out the full Class of 2016, in collaboration with Luxottica, here. Hari Nef, Iris Apfel and Rejjie Snow. One an actress (among other things); one a style icon; and one a rapper. 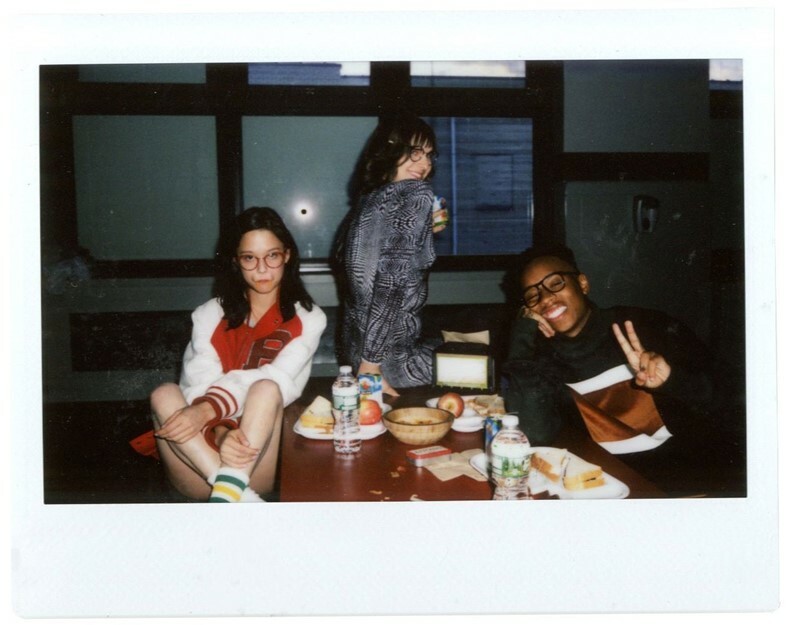 These three people come from disparate worlds and, in fact, generations but eyewear company Luxottica has brought them together for its ‘Class of 2016’ campaign, along with photographer Gray Sorrenti, model Mae Lapres and Instagram It-boy Mike the Ruler. Together, they prove that glasses are an every-season accessory. Don’t let the tattoos deceive you – as one of rap’s best wordsmiths, Reggie is the nerd. “I would definitely describe myself as a perfectionist,” he says. “But sometimes it gets a bit too much cause it has to be so perfect, to the point where it could be perfect and I’ll just keep on going with it. I could keep on going with it until it’s nothing.” An artist and nature lover, Gray is cast as the dreamer; French-Canadian-Chinese beauty, Mae as the prom queen (naturally); and Mike the Ruler, as his name might suggest, as the class president. With this concept in mind, it made sense for Nagasaka to shoot this campaign in an IRL high school – and that’s exactly what she did, taking the cast to a school in New Jersey and shooting them in its classrooms, canteen and gym. Head to the gallery above to see the campaign, and to the one below to see some Polaroids taken behind the scenes.